DXF is a universal CAD data file format developed by Autodesk to enable data exchange between Autocad and other applications. Converting the DXF file to a PDF document is practical when you want to share your drawings with other users seamlessly without them needing to install Autocad or any other application with DXF file format support. 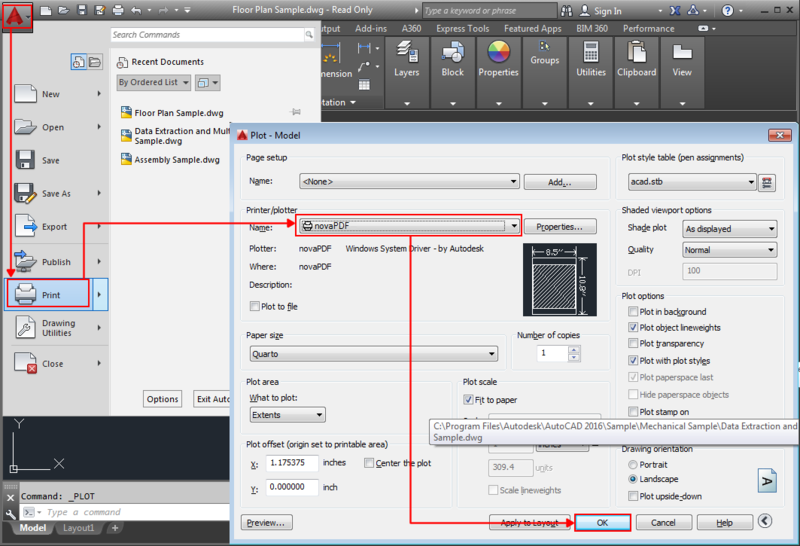 By having novaPDF installed you can easily convert DXF files to PDF documents by pressing the Plot/Print button and choosing novaPDF as the printer. You can print to PDF either from the Model view (your working area) or by using a predefined Layout. Go to Menu Browser->File->Plot (or press Ctrl+P) and configure your printing options. PDF signatures. 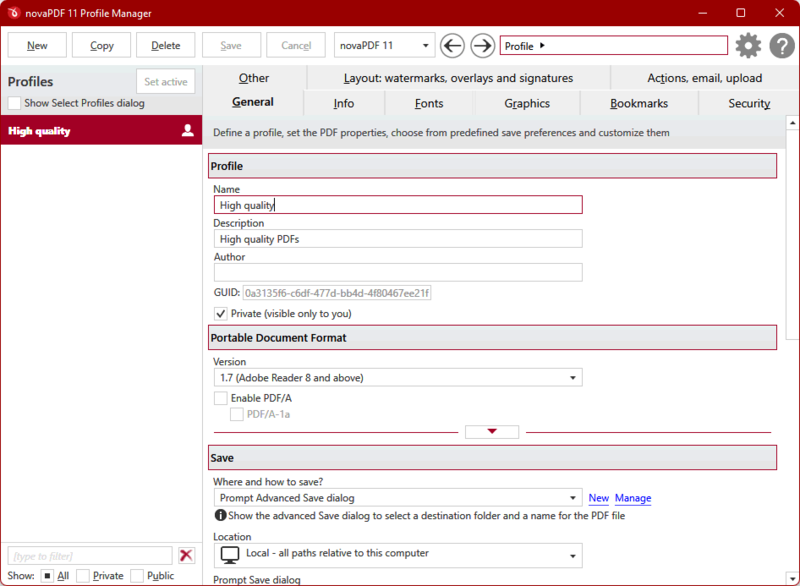 You can sign all your PDF documents when converting them from another file format by using a digital certificate. PDF watermarks. You can add automatically a text/image watermark (copyright notice, logo) to your converted DXF drawing. PDF security. If your drawing contains sensitive information, novaPDF lets you convert the DXF file to a password protected pdf. This way only recipients that know the password can view its content. This tutorial shows how to convert DXF files to PDF documents by using novaPDF with AutoCAD as well as novaPDF main advantages when converting the drawing to a PDF. If you have suggestions on how to improve this article add a comment or rate it.